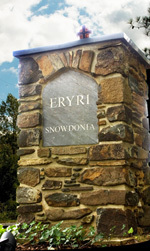 Proceed on Route 20 South 1.6 miles from the James River Bridge, and turn right onto driveway at "Eryri-Snowdonia" stone column. Follow drive straight 0.3 miles. 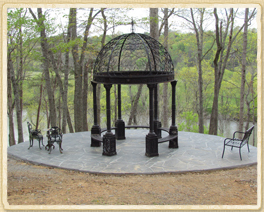 The River Bluff Suite and designated parking are located to the right of the circle. The Eryri Cottage and designated parking are located to the left of the circle. Thank you for providing such a nice, quaint getaway! We thoroughly enjoyed our stay here. We used our stay here as our first "excursion" as an official couple and had an amazing time. It's so comfortable with all of the amenities of home. Once in every few lifetimes we're granted the blessing of finally meeting our twin flame. I have found mine after 37 years. C., I love you, and I hope this is the first of many times that we get away together.